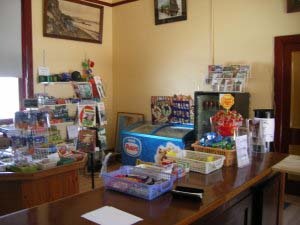 The Victor Harbor shop stocks a wide range of souvenirs, both items specially produced for passengers to take away to help recall their journey and a selection of historic railway books, magazines and videos. 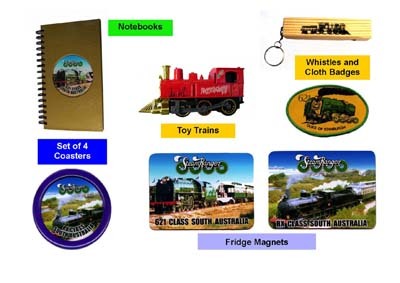 Two recently produced SHR souvenirs are now available in our shop at Victor Harbor and through other outlets stocking railway oriented products. 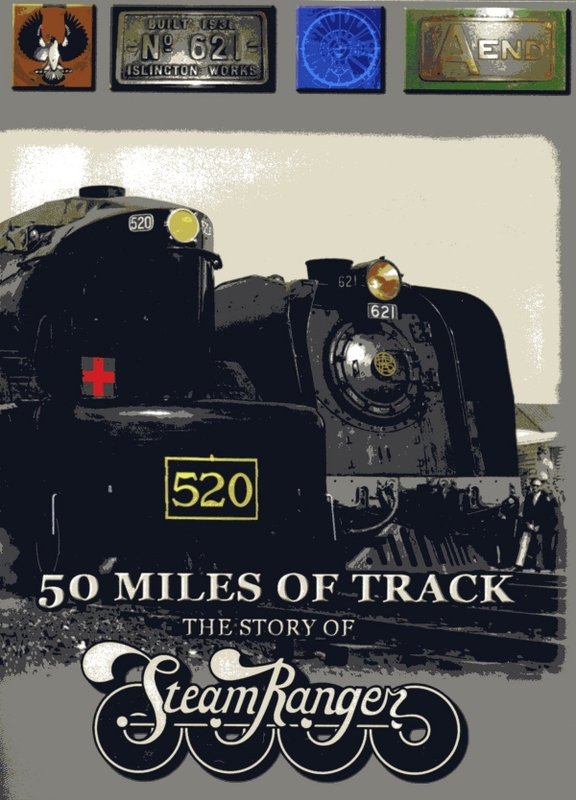 "50 Miles of Track" is a 40 minute video produced in the main by SteamRanger volunteers. 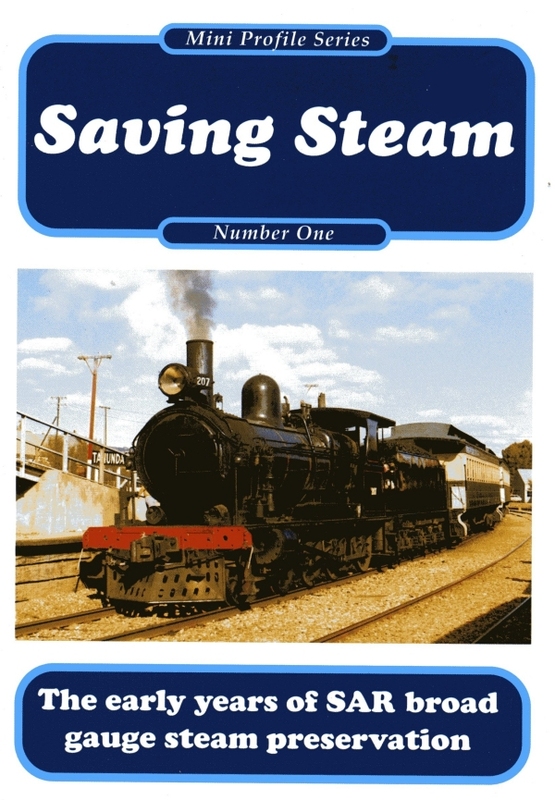 It allows viewers to travel along the 82km of SHR track between Strathalbyn and Victor and learn how the railway shaped the region's growth, to relive the heyday of steam, to enjoy some recreated dramatisations and meet some of our volunteers. Production of the film was supported by a number of government agencies and the District Council and businesses located in Mount Barker. 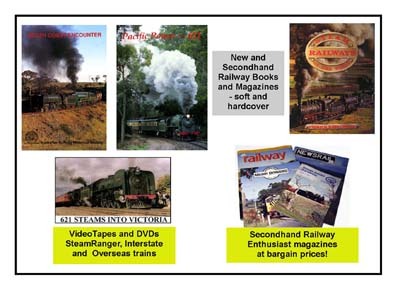 Railmac Publications have released a new publication telling the full story of how now retired ARHS identity Dean Harvey saved the four locos that now form a major part of our fleet. Dean was interviewed at length and and the publication includes dozens of memorable graphics including a superb centrepiece of loco 621 on the Victor turntable. and readers will find it is well worth it. 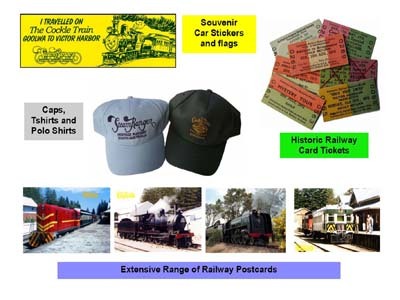 please send us an email to "souvenirs@steamranger.org.au"
including your contact phone number and we will arrange to get them to you by post or other means. Additional postage charges will apply. DVDs go from strength to strength. Since we started producing our own VHS tapes way back in the 90's, we have made, (and sold! ), over 450 tapes and 2,500 DVDs, which is not bad for a purely amateur enterprise that was much criticised at its inception. This would not have been possible without the magical electronic skills of Adrian Davis, who patiently cleans up, trims, edits and masters video tape, sometimes aged up to 30 years old, onto DVDs. 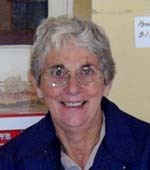 His undoubted skills, and enduring friendship, are much appreciated, as are Sally Hawes's sarcastic editing of the notes. 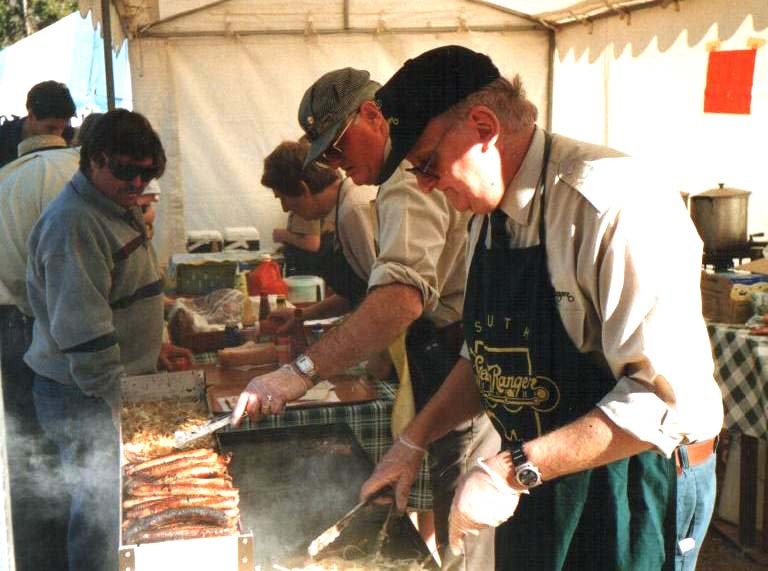 One of the major events on the heritage railway calendar is the Adelaide Model Railway Exhibition, at the Angle Park greyhound track, every Queen's Birthday weekend. It is hard work, but enjoyable, as we sell lots of DVDs, books, old magazines and "memorabilia", and get to see what other organisations sell. We sell an enormous number of pre-loved magazines and books usually restricted to Anne Simpson's south coast shop, whilst generating some much needed income. We always have a successful time, and as a sideline also carry out a valuable public relations role for SteamRanger. Staffing of the SHR stand is coordinated by Barrie with assistance from Sally Hawes, John Lambert, Anne and Bill Simpson and Bev Sawyer and various others. 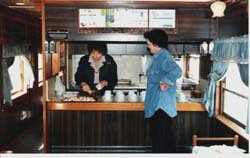 The team can cater for up to 300 passengers requiring (for example) a home cooked roast buffet, accompanied by soup, sweets and coffee. Menus can be customised to meet clients' requirements. Catering is generally restricted to about 30-50 passengers due to limited on-board food preparation and serving facilities. Our 1950s vintage RedHen Railcars provide an ideal carriage for that special two or three hour corporate function or celebration "on rails". 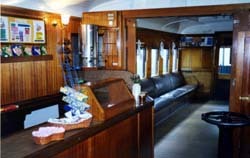 The cars will accommodate up to 60 passengers and tasty finger food and drinks can be served. The cars can be scheduled to operate from either Mt Barker or Goolwa (independently of our regular services) to meet clients'needs.